Yes, we have lots of craft breweries. Yes, we have skiing and snowboarding and winter wonderland fun. Yes, we have the Animas River, the San Juan Mountains and the Durango and Silverton Narrow Gauge Railroad. But we think you need to know about some of the other amazing attractions in Durango and some of the other fun stuff you should totally take advantage of during your stay in our cool little mountain town. Let’s start with the Powerhouse Science Center, aka the artist formerly known as the Durango Discovery Museum. Located on the banks of the Animas River, the science center is housed in a historic, 1893 power plant that once was fired by coal and produced steam that powered the city with electricity. Today, the building houses a science center that’s fun for the whole family. The first Sunday of the month is Pay What You Wish Day at the center. Visitors can pay anything they want, from $1 to $100, and enjoy the museum, which is open on Sundays from 1-5 p.m. The next Pay What You Wish Day is Feb. 1. The center hosts 18-and-older trivia night every Thursday from 6-9 p.m. According to the center’s website, trivia nights are for those “who need a couple of well-earned hours of fun and don’t mind occasional explosions or juicy conversation starters with their happy hour.” Get your team of five or more together and get them to the Powerhouse Science Center, where competitors can also buy food and drink from Powerhouse Eatery + Libations. 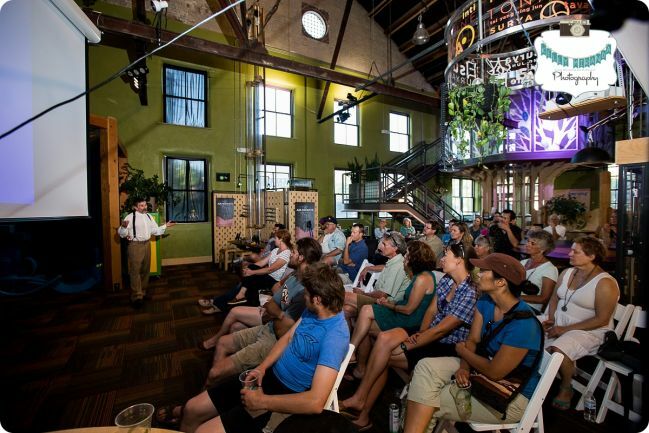 Pub Science is a creative lecture series that happens the first Friday of the month (the next one is Feb. 6). Doors open at 6 p.m. — no tickets or RSVP required — and attendees who are thirsting for knowledge also get to drink up some Durango craft brews. Every Pub Science event features a different speaker and a different topic. The free lecture series is for those 21 and over, and attendees can also enjoy treats from Powerhouse Eatery + Libations. While you’re staying with us at the Durango Quality Inn, be sure to check out some of the lesser-known attractions around town. Ask our front desk staff, and they’ll have a ton of recommendations for you! ← Discounted ski tickets to Purgatory at Durango Mountain Resort!